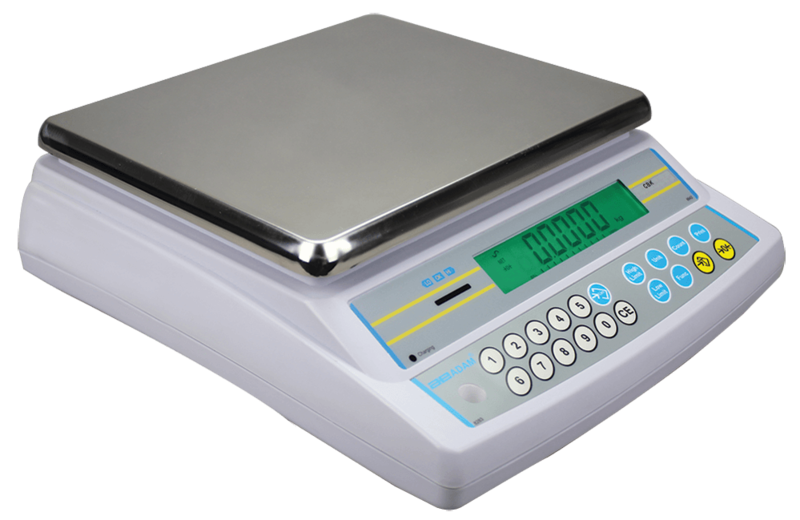 Adam Equipment's CBK bench / table checkweighing scale is a durable, versatile weighing machine perfect for light-industrial and commercial weighing. Serving a variety of applications the CBK includes basic weighing, checkweighing with LED limit indicators and parts counting. Bi-directional RS232 interface with date and time and selectable multi-language text printing provide easy data recording and traceability to increase productivity. Amber, Green and Red LED’s show underweight, overweight, and acceptable weight limits for check weighing applications. Four LED’s for each colour can be programmed to turn on together to quickly indicate over/under weights, or in sequence for a more detailed indication. An easy-to-read backlit LCD with capacity tracker shows capacity usage as well as the weight or count. The capacity tracker helps prevent users from exceeding the scale’s capacity. A rechargeable battery offering upto 90 hours use between charges and RS232 interface standard complete this popular value for money product. CBK checkweighers are ideal for workshops, production lines, stock taking, distribution and shipping warehouses. This product is NRCS approved. Food processing: Stainless steel weighing pan for easy cleaning after food processing operations. Postal offices: Perfect for checkweighing parcels and post in mailrooms and post offices in order to determine a price based on weight. Design and construction: Can be used to check weigh bags of building materials such as sand, plaster and concrete.